Sleep is a major part in the growth of children and hence it is important to engage in establishing a bedtime routine for 3-month-old. During the early months of a newborn, sleep is very important round the clock since the infant’s metabolism is to the roof. Mental and physical development is directly impacted by the quality of sleep that they get. The growth hormone that is produced in the pituitary gland when a child is sleeping is vital for stimulating biological events, which occur in the muscles, organs, blood as well as bones. Lack of adequate sleep is also strongly linked to childhood obesity. At 3 months, babies need to sleep a total of 14 to 16 hours in a day and thus a parent should have an ideal bedtime for baby. You should brace yourself for some interrupted nights since your baby is likely to wake up after every 1 to 3 hours. 3 months might be a little too early to start working on sleep training for your baby though it is a perfect time for establishing a bedtime routine and strengthen your pre-sleep routines. Having a steady routine bedtime for 3-month-old is quite important. It helps them know what is coming next, therefore, they begin to know when sleep time is near. It also helps their bodies start to slow down a notch and get ready for sleep. You should avoid screens and stimulating activities before sleep time and also try to keep the room that your baby is napping in the dark. This is especially important during the months of summer since it greatly helps during bedtime and early mornings. The problem with light is that it stimulates your baby’s eyes making them know that it is time to wake up, therefore if light is creeping into your Child’s room early in the morning, it may become difficult for your little baby to stay asleep or maybe go back to sleep after waking up. While there may be lots of studies out there that show that a ‘set’ or consistent bedtime is of great benefits to children, these studies are usually done for much older children who no longer take naps during the day. It is important that the moment your baby has their last sleep-time, they should have a consistent bedtime for every single night. This consistency in bedtime is pointed towards helping children regulate themselves, develop good behaviors, and even function successfully while at home and also in the community. Too late or inconsistent bedtimes have long-running effects on a child’s behaviors – and all of them are bad. Therefore while it is quite important to maintain consistency with older children, toddlers need a lot more flexibility with bedtime. It should change depending on how the baby has slept during the day and the activity level and how the previous night’s sleep had been. That means that bedtime can vary by up to two hours, more so during their nap transition period. It is very important that the time from last nap to bedtime to not to be too long so as to avoid fragmented night sleep. Below is an outline of how long the last nap is supposed to be, and as well as how many naps newborn to 4-month babies should take. It is important to keep in mind that if the last duration time for the baby was a short one, you may have to cut the time that the baby spends awake even further. at this age, babies sleep many hours than they are awake having 4 or more naps on a daily basis. Sleep time for newborns is normally late, usually from 9:00 pm or even later, but it is advisable to start adjusting the bedtime earlier at around 6 or 8 weeks. At 2 months, the bedtime for the kid should be roughly an hour after the end of the previous nap suitably between 6:00-8:00 pm. babies at this point should be allowed a compact 4 nap schedule making sure that the last day nap ends by 5:00 pm. Strictly, ideal bedtime for 3-month-old should not be later than one and a half hours after the end of the last nap. Don’t forget that you are training your baby to sleep on time so you want to put the baby down 15 minutes before this to create time for him/her to fall asleep. What this means is that bedtime should not go later than 6:30 pm. You can find a 3-month-old nap schedule in this page. This is the time when babies will likely transition from 4 to 3 naps. This could also mean that your baby juggles back and forth between 4 or 3 naps depending on morning waking time and the quality and length of the day’s naps. For 3 naps in a duration of 24 hours, it is possible that you will need an early bedtime, which you should not be afraid of especially during nap transitions that come to be your saving grace! At 4 months, all naps should have ended by 5:00 pm with bedtime coming at most 2 to 2.25 hours after the end of the last nap. Therefore, this means that your child’s bedtime should not be after 7:15 pm. The baby will feel more relaxed if he/she is aware of what’s coming next. If the baby is more relaxed, the more likely to fall asleep they will be. Don’t deviate from your routine even when you’re away from home. This helps to make it easier for your baby to feel settled even in new environments. Having a routine for bedtime sooner works for you in a better way. 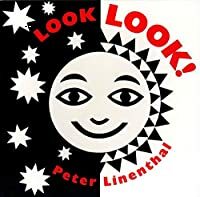 When your kid is 6 or 8 weeks old, you can start to follow a certain sequence every night. This consistency will make your baby appreciate the predictability of rest and wake times. You should start early in the evening so as to make enough time to go through the entire sequence before bedtime. For younger babies, you may come to learn that it’s best to have a short and simple routine: washing up, jammies and diapers then a story or maybe a song in a rocking chair. Since you might certainly begin your sequence in the bathroom or your living room, it has to end in your baby’s room. It is very important to show your baby that this room is a nice place and not where he’s just “banished” when it’s time to sleep. Here are some bedtime routine ideas that have worked for many mothers. Maybe you might come across something here that works for you. At times it helps to have your baby get any pumped up energy out of the system before you make attempts to have her settle down for the night. So can dance with her to a song he/she likes, give him/her a ‘horsey’ ride, or even let your baby do the bouncing in the bouncer if they are in the mood. 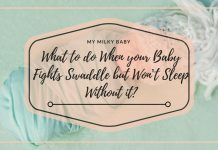 Just as long as you try to follow up a rowdy play then something much calmer and quieter – like for instance a bath and a bedtime story – before its time to sleep, it will certainly establish a first step towards sleep time. A bath is one of the most common bedtime rituals. The feel of warm water becomes a soothing experience, and by getting the baby warm, clean then dry can be a perfect method to ease her into bedtime. The bath is a wonderful opportunity for your partner to have some quality time with the baby, more so if you are breastfeeding your baby and your husband can’t help much with the meals. Babies don’t require to be bathed more than once or maybe twice a week. So if your baby gets too excited during baths or else doesn’t enjoy them at all, it would probably be better to leave the bath out of the nighttime routine. This will ensure that you don’t have to feel bad about not having it if it is not entirely necessary. Your baby’s routine for getting ready for bed can include washing her hands and face, wiping her gums, changing her diaper or getting into her pajamas. Playing a quiet game in your living room or your baby’s room floor can be an awesome way to have fun with him/her before it’s time to sleep. 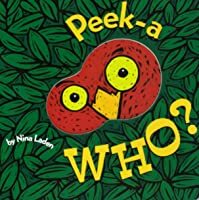 The game can be simple like a round of peekaboo. Anything that entertains the baby without making him get so excited is fine. You can also try to hide something like a toy, postcard or any interesting object within your baby’s bed or crib for him/her to find before you lay them down. Just don’t forget to have the object removed from your child’s crib before leaving. Bedtime is usually an opportune chance for parents to have some time to talk to their baby. You can simply review the day for her so you don’t have to necessarily wait till your baby is old enough to narrate for you the events of the day. After laying the baby in the crib, either partner can sit in a rocking chair right next to the crib having turned the lights off and then talk about how the day was. This helps to relax the baby. Another option to relax your baby when he/she is in the crib. 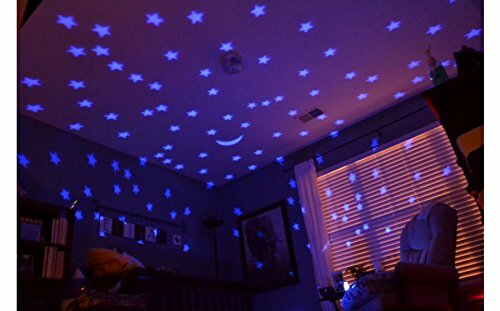 Using a light show projector, the illumination has a calming effect on babies. you can find an article + reviews here. 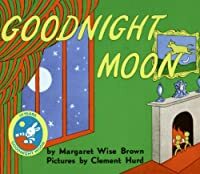 Most babies enjoy getting carried around the house to say goodnight to their favorite toys, other people in the house like brothers or sisters, and even other objects like what the rabbit’s baby and his mother do in Goodnight Moon. Saying goodnight and goodbye to the sun can also be a nice bedtime ritual. Reading a bedtime story rivals the bath as the favorite sleep time ritual. Your baby will not only learn to recognize new words, studies show that language skills and intelligence can depend on the daily exposure a baby gets to a large vocabulary, but that time spent with you will also benefit the baby immensely. Singing a song has been tested as a method to help your sleepy kid a way to drift off. Your kid will obviously love to hear her most favorite sound, which is your voice in a soft and soothing melody which calms her into sleeping. Some parents choose two different songs for every night but always close with one final song that does not change. Kids eventually come to recognize the particular song as the final goodbye and the song helps them to drift away. There are of course many lullaby libraries online for parents who may not remember the words to their favorite deities where they can get refresher courses. You can also play a tape of lullabies, some classical music or other favorites for kids as you sing your baby to sleep. You can then leave it on at a low volume after she sleeps which will help ease the change from being awake to eventually going to slumber. A sound machine with an added benefit of fading out outside noise may also help to soothe him/her into sleeping. What is the relationship between sleep and brain development in infants and young children? Image & Video credits: Amazon, Life as Risper, eDewcate.